I think the timing is just right to tempt you with these two amazing desserts which would be perfect for your 4th of July celebration …. (if you’re reading this from outside the good ‘ole US of A, these would be perfect for just about any kind of celebration). There are three things in particular that I love about these two desserts; first - both desserts are a take on one of my favorites - CHEESECAKE!! 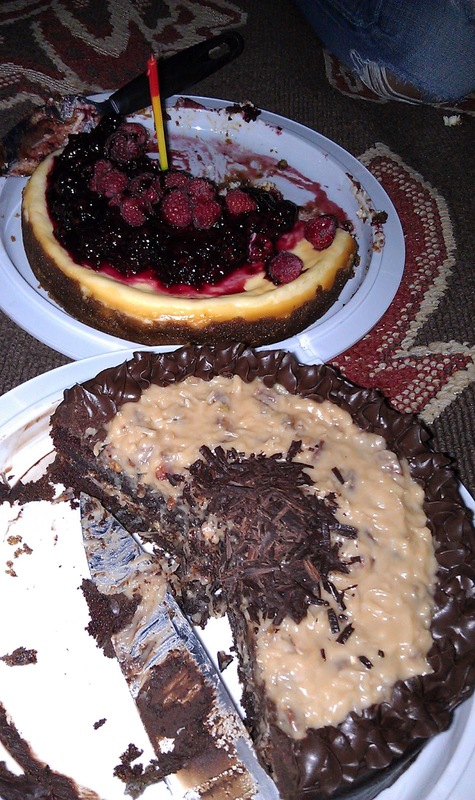 Second - both desserts can be made ahead, and third - both desserts are EASY to make! The first dessert, the 4th of July Mini-Cheesecakes, were actually made for Memorial Day and turned out to be a hit with all our friends at the beach party. 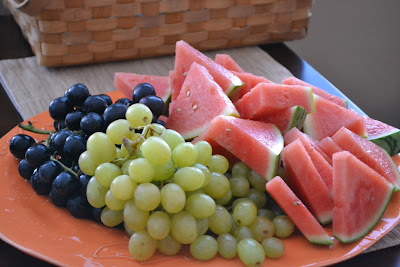 They are individual, so easy to eat, colorful with the red, white and blue and super tasty …. 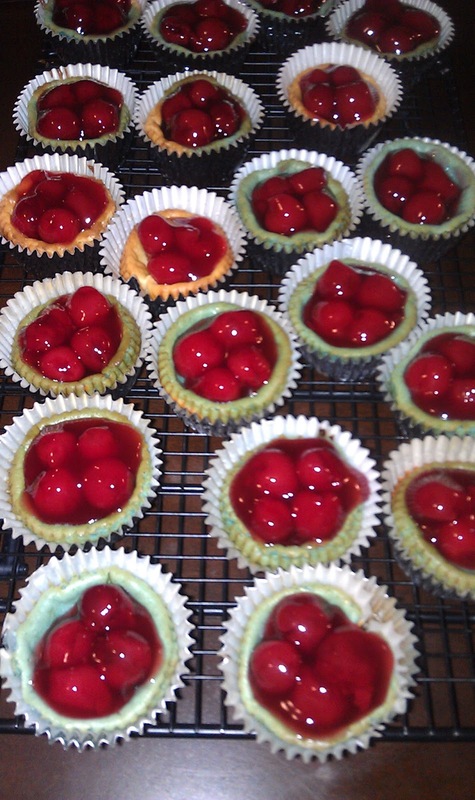 with their creamy cheesecake filling and tart cherry filling; a guaranteed hit for your 4th of July party. My second dessert, the 4th of July Mini-Fruit Trifles were inspired by a picture I saw on Pinterest! [If you haven’t signed up for Pinterest, I highly recommend it. It is an encyclopedia for any cooking/baking/ house project you have been dreaming about.] 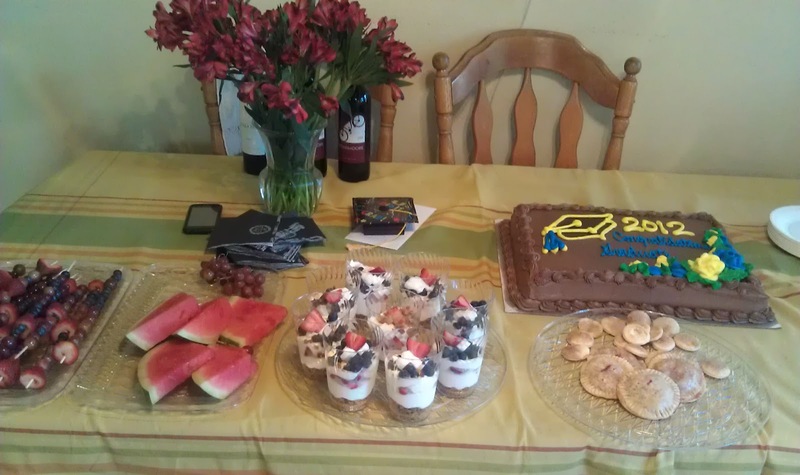 Anyways - I made these trifles last weekend for my cousin’s graduation party. Believe it or not, they disappeared before the chocolate cake! I was amazed. 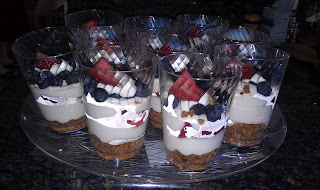 But then, who can pass up whipped cheesecake with fresh ripe berries and an amazing baked graham cracker crust! Not to mention, they looked so cute in their clear plastic cups, they just screamed eat me!! I hope you give these recipes a try for your upcoming festivities. And for all those men and woman serving in our armed forces and to those who have given their life for our country -- WE SALUTE YOU! Special recognition to my partner-in-crime (our blog J ) Faye, and for her support of her husband Michael through 25 years of his services to our country in the US Navy. They are an amazing team!! Happy 4th of July everyone… Let’s Celebrate with some dessert! 1. 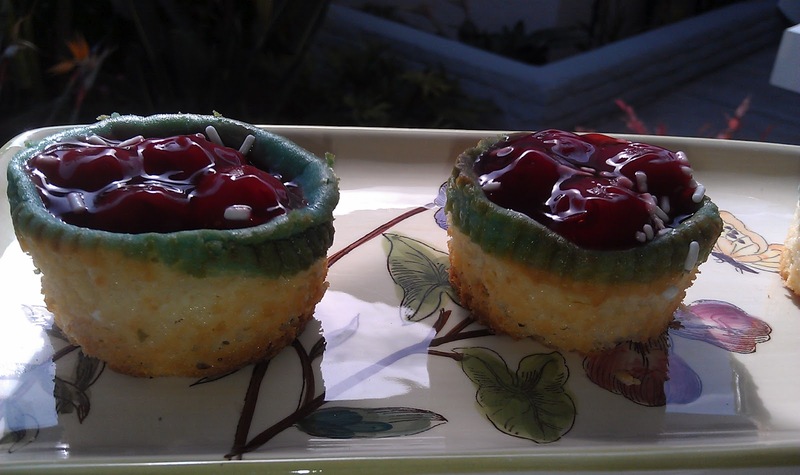 Take two muffin pans. 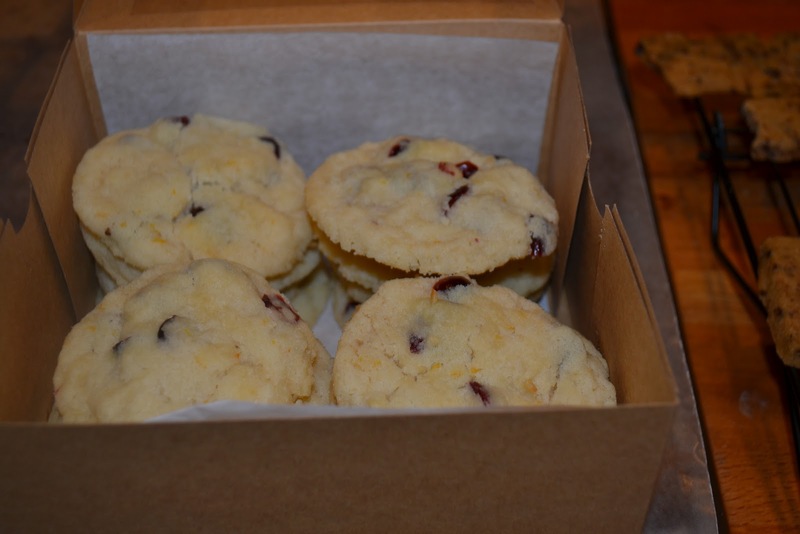 Place a baking cup in each cup. 2. Spray the baking cups with spray oil (this will make it easier to remove the cups in the end. 4. Using an electric mixer. Mix the cream cheese and butter till it is smooth. 5. 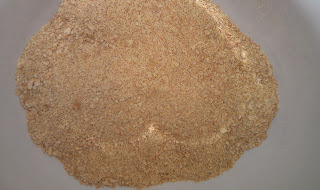 Gradually add sugar till it is well mixed. 6. Add eggs one at a time, then mix in the vanilla and lemon juice. 7. Once filling is done, divide the filling, placing half the filling into another bowl. 8. 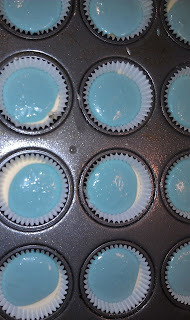 To one of the filling bowls - add enough blue food color to make the filling a nice bright blue. Leave the other bowl the original white color. 10. Bake @ 350* for 15-20 minutes. The middle should be set. Remove from oven and cool. 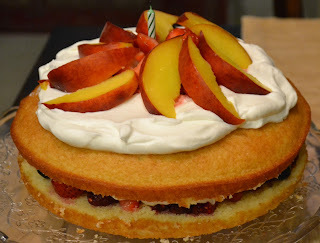 You will notice that middles might fall - not a problem since you will be adding the cherry pie filling. 13. When ready to serve, remove the aluminum cups and put on a nice serving tray. 1. Taking the graham crackers, crush either using a food processer or you can crush by hand by adding cookies to a large ziplock bag and rolling over the cookies with a rolling pin. 3. Bake for 8-10 minutes. It will bake quickly so keep an eye on the crust - I burnt one! It will get a nice brown color. Remove pans from oven and cool. 5. In a separate bowl, beat the cream cheese until it is nice and smooth. 6. Gradually add the powder sugar until it is completely incorporated into the cream cheese. 7. Beat in the lemon juice, vanilla and half-and-half milk to the cream cheese filling. 8. Take the whipped cream you made and fold into the cream cheese filling. Make sure you do not over stir, you do not want to breakdown the cream but make sure the whipped cream is mixed well with the cream cheese mixture. 9. Taking the large ziplock bag, fill with all the cream cheese filling. Cut-off one of the corners of the plastic bag (about ¾-1 inch slit) - Set aside carefully, with the cut part up until needed. 10. Add two tablespoons of graham cracker crumb to the bottom of each cup. 12. Add a few tablespoons of strawberries. 13. Add more cream cheese filling. 14. Sprinkle with lots of blueberries. 15. 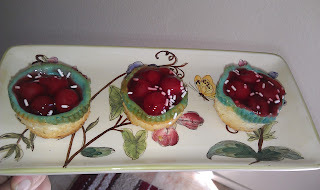 I topped off each cup with a little bit of cream cheese filling and a sliced strawberry. 16. (optional) Add a few graham cracker crumbs on top of blueberries if you like. One of my favorite quotes from Maya Angelou says "People will forget what you said, people will forget what you did, but people will never forget how you made them feel" . It's a motto I try to live my life by, especially in the month of June (Lol)! I may have mentioned that June is a big birthday month for me. 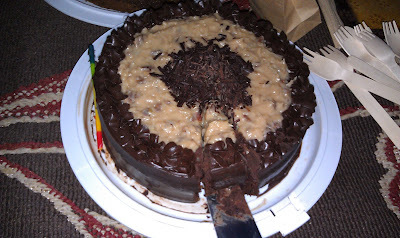 I know at least 10 people with birthdays in June and I was fortunate enough to be able to celebrate several of them. 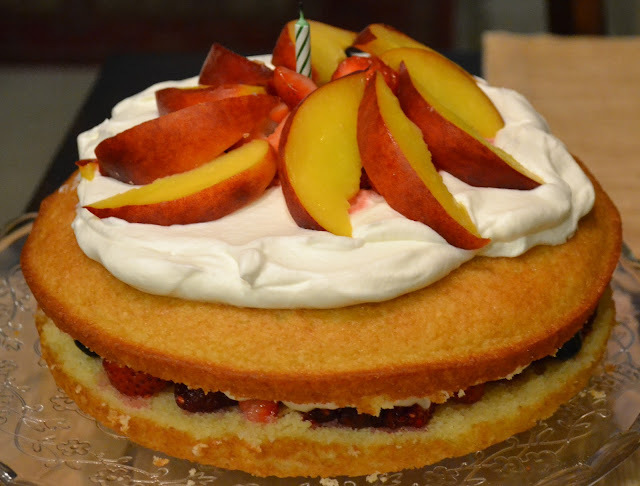 There's something special about baking someone a birthday cake for their birthday. 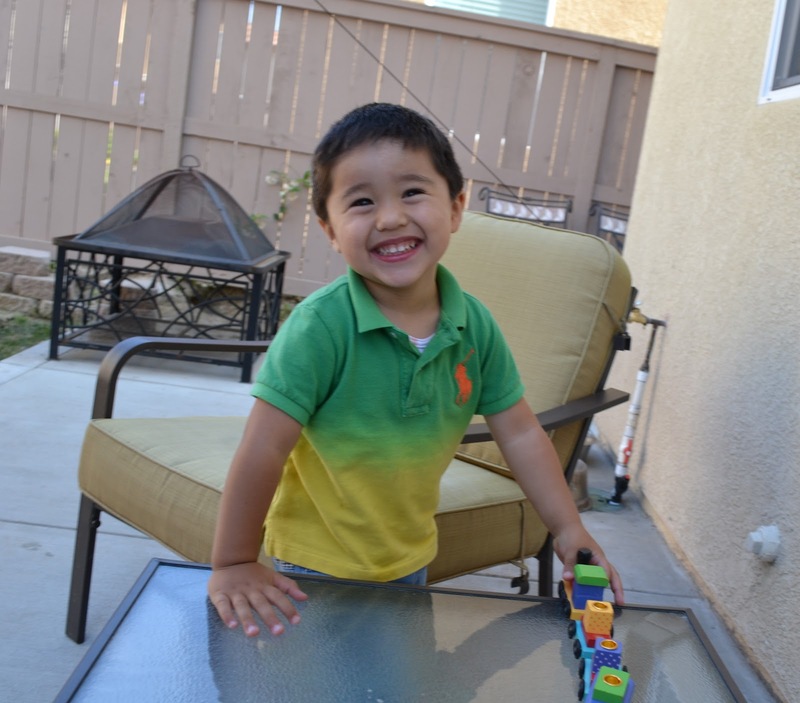 It makes them smile, it makes them happy, it warms your heart and makes them feel... loved. Happy Birthday to all my family & friends born in June!! For my Sister-in-Law, I made Dorie Greenspan's French Yogurt Cake, but I filled and topped it with with fresh berries, peaches and whipped cream. It was light, creamy and delicious. The perfect ending to a heavy meal. 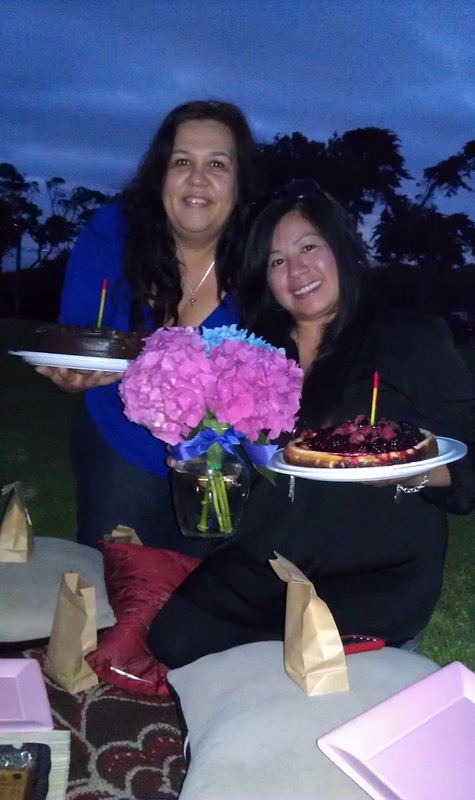 My good friends Yvonne, (my partner in crime on this blog & other things), and Teresa both have birthdays late in the month. We have a long history together and I wanted to make something special for each of them for their surprise birthday get-together. For Yvonne, it was a no-brainer, I made her favorite cake, German Chocolate, using the recipe for my German Chocolate Cupcakes but turning it into a cake. For Teresa, I had to use a sneakier approach. I went on her Pinterest board and checked out her pins. The girl had a lot of Cheesecakes pinned and since Cheesecakes are my specialty, it was pretty much a done deal. I came up with a Lemon Scented Cheesecake with a Gingersnap Crust topped with a Blackberry compote and a mixture of Fresh Berries. The girls sure did some damage on these cakes! My God-Daughter, Lexi, asked me to bake her something special for her birthday and left the choice up to me. 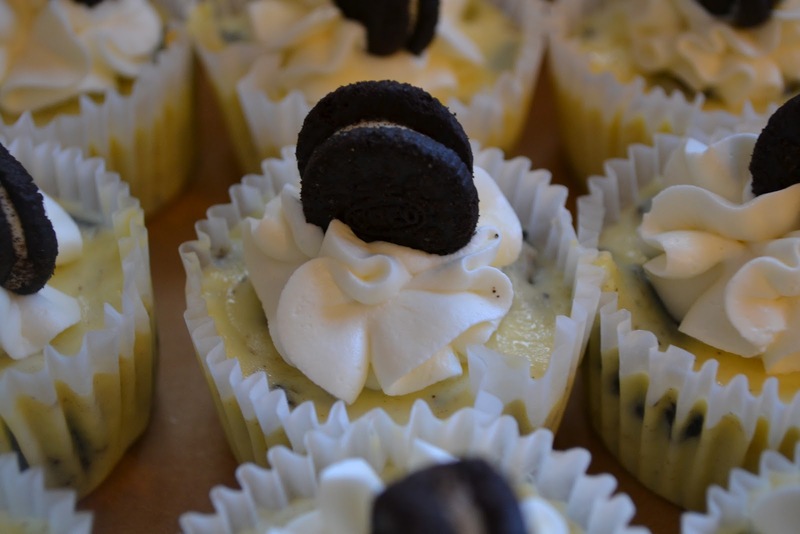 Since her favorite flavor is Cookies & Cream, I made mini Cookies & Cream Cheesecakes and threw in some Strawberry Shortcake Cupcakes for good measure! Since I didn't have Mascarpone Cheese on hand, I used a different recipe for the frosting which I will post below. 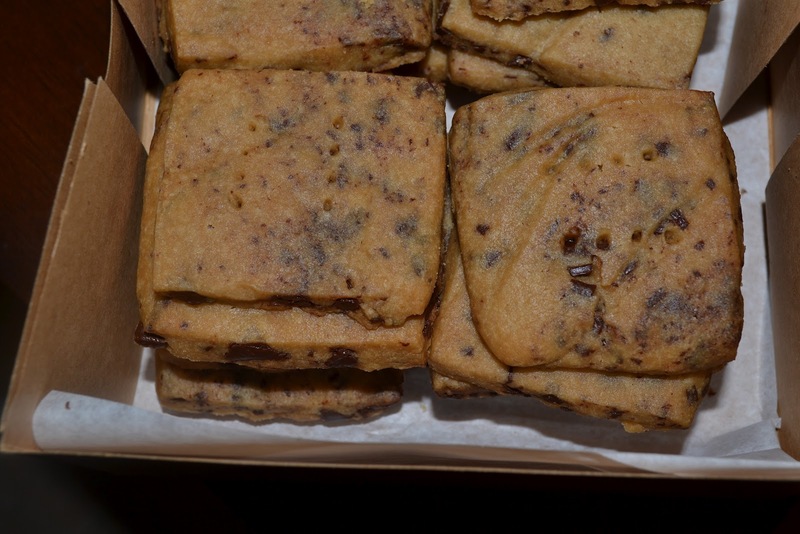 Today I am sharing the recipe for the "Brookies". I saw this recipe on Pinterest and the picture was so enticing I had to give it a try. The only update I made was to add a dash of vanilla extract and increase the amount of chocolate chunks called for in the recipe. In my opinion, you can never have enough chocolate chunks. I hope you enjoy the easy and delicious recipe. 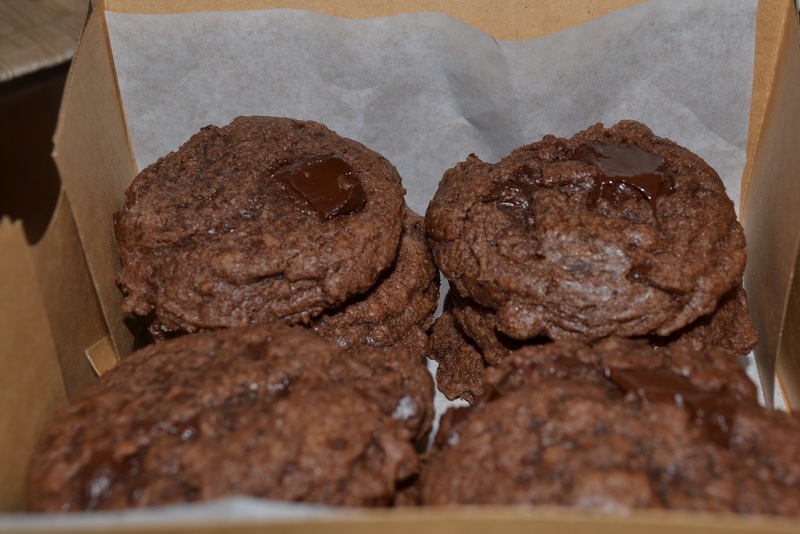 Grease or line cookie sheets with parchment paper or silpat. 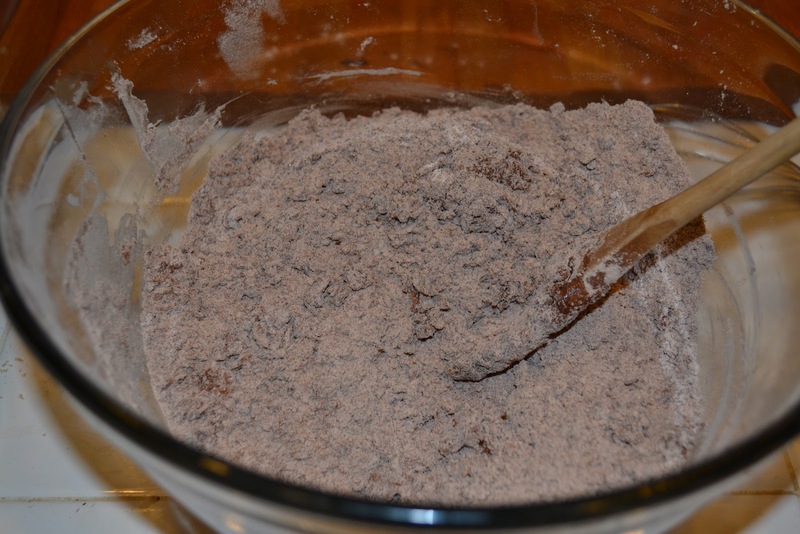 In a large bowl, whisk the brownie mix, flour and brown sugar. Using a heavy wooden spoon, stir in the eggs one at a time. The mixture will still be very dry. Stir in the melted butter and vanilla extract. The dough will still be dry with some flour spots remaining. Stir in the 2 tablespoons of water. At this point the dough should come together and resemble a cookie batter. 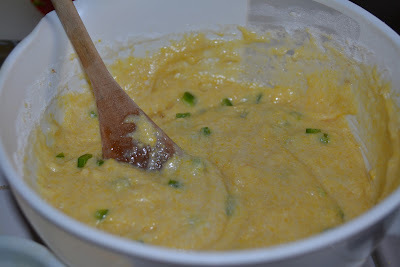 If the batter still feels very dry and has a lot of flour spots, stir in 1 additional tablespoon of water. I did not have to add the additional water. Cover dough and refrigerate for 2 hours. Line baking sheets with parchment paper. 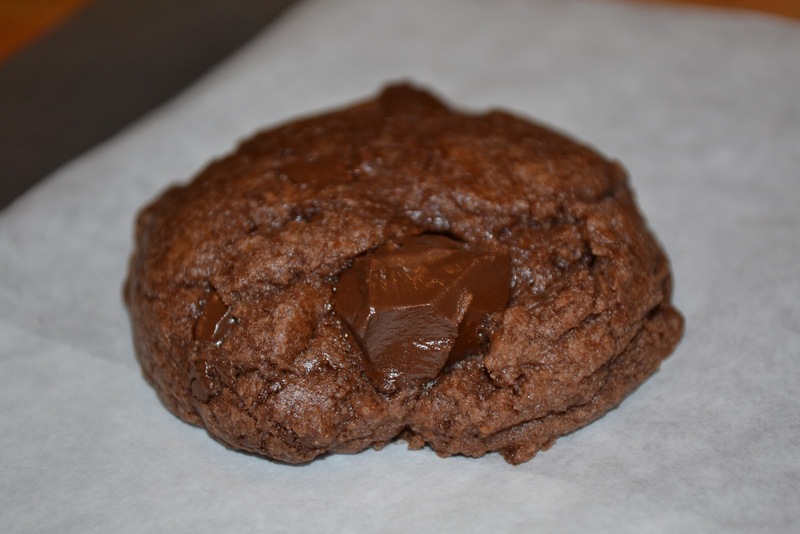 Drop heaping tablespoons of dough onto the prepared cookie sheets or use a small cookie scoop. Flatten slightly with the palm of your hand. 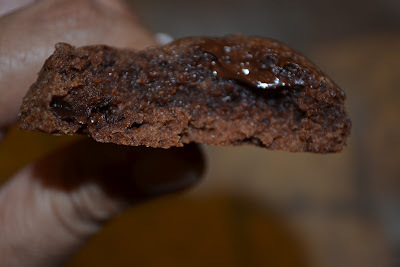 Bake 8-10 minutes, until slightly set but the cookie still looks slighly moist in the middle. Do not overbake. You want the cookies to be slightly gooey in the middle. Remove from oven and cool on cookie sheet for 2 minutes. 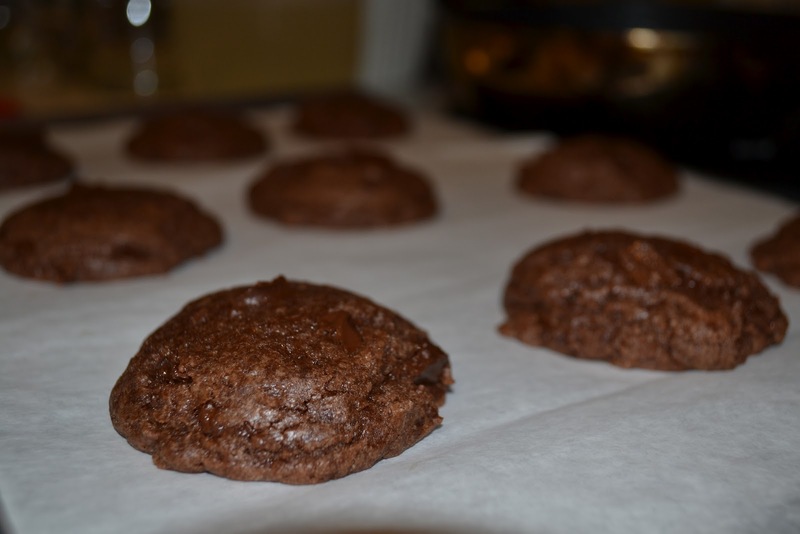 Remove from cookie sheet and transfer to a cooling rack to cool completely. Now doesn't that look like a brownie and a cookie? 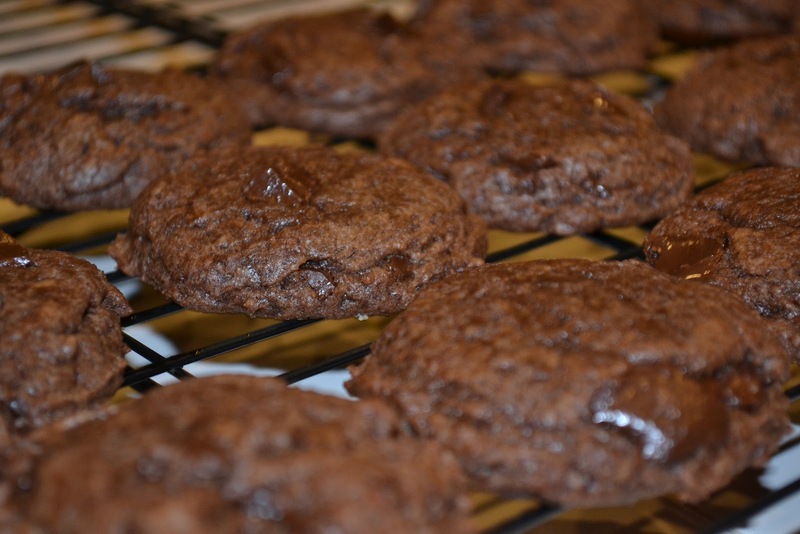 These cookies are best enjoyed warm or within one day of baking. Can be reheated for a few seconds in the microwave to refresh the goo-factor. 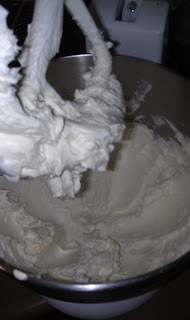 In the bowl of a stand mixer fitted with the whisk attachment (or in a large bowl using your hand mixer), beat the softened butter at medium speed until creamy and fluffy, approx 3 minutes. Add the vanilla extract and mix to combine. Add the strawberry preserves and mix well to combine. 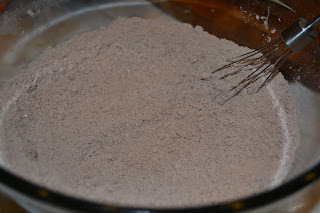 Add one cup of the powdered sugar amd mix well at medium speed, gradually add the additional powdered sugar while the mixer is running and beat to combine well. 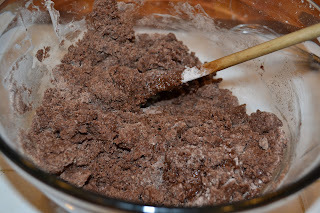 Add the tablespoon of heavy whipping cream and beat to combine. Check consistency, it should be a nice, creamy, pipeable consistency. 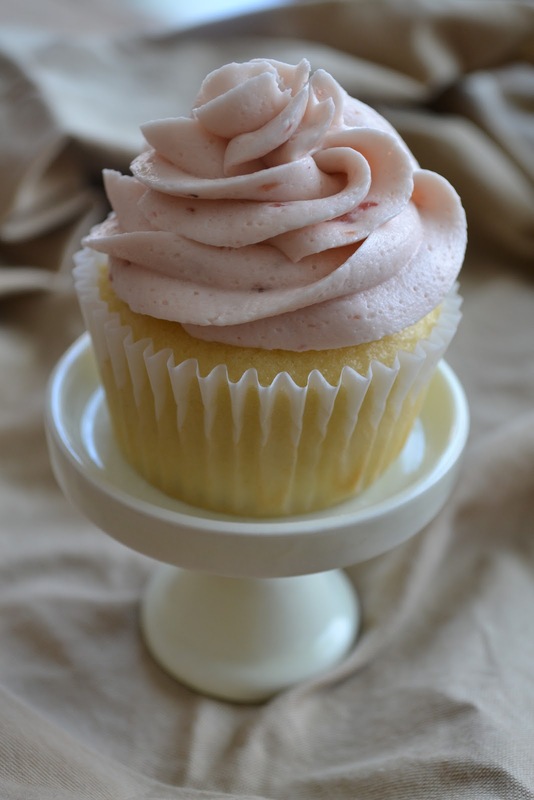 Add more powdered sugar if you like stiffer frosting or add a little more cream if you prefer it creamier. These CHOCOLATE COCONUT SQUARES have a funny story on how they came to be. It was so long ago, I really don’t remember if this book was a gift or if I bought it for myself. It’s called The Best Ever Chocolate; beautiful pictures, which are what attracted me when I first opened it. I remember making one recipe from it at a Christmas Cookie bake - an orange chocolate cookie - nothing great. Since then, I had not touched the book. in the book and it looked delicious. So I thought, what the heck, I’ll give them a try. Little did I know that I would actually have to create the recipe myself. You’re probably thinking … what? Yep, that’s what I thought too …. once I noticed that it didn’t say how many graham crackers to use or when to add the chocolate to the recipe. The recipe was a mess! I ended up changing the whole recipe and creating a new one. This was one book author who really needed a “Beckie Miller” - the gal who Faye and I use to proof our recipes. So ……. back to the results. You will love these chocolate bars. I had a special request recently from my boyfriend to re-make them for the 2012 OCTO show (OCTO is an annual VW car show held in Long Beach, California). I hear they were just as big a hit the second time around. These bars have a wonderful creamy coconut filling with a super delicious chocolate graham cracker crust. Not too sweet, just the right amount of sweetness. Oh and say no more, the chocolate combination of semi-sweet and bittersweet chocolate is perfect. I hope you give these CHOCOLATE COCONUT SQUARES a try at your next gathering. 1. Line a 9x13 baking dish with foil or waxed paper. 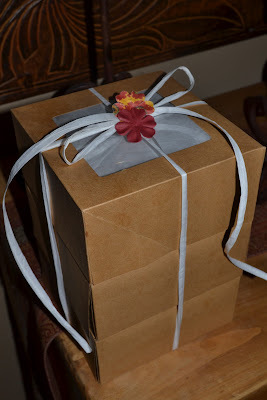 Spray the foil/waxed paper with Pam. 2. 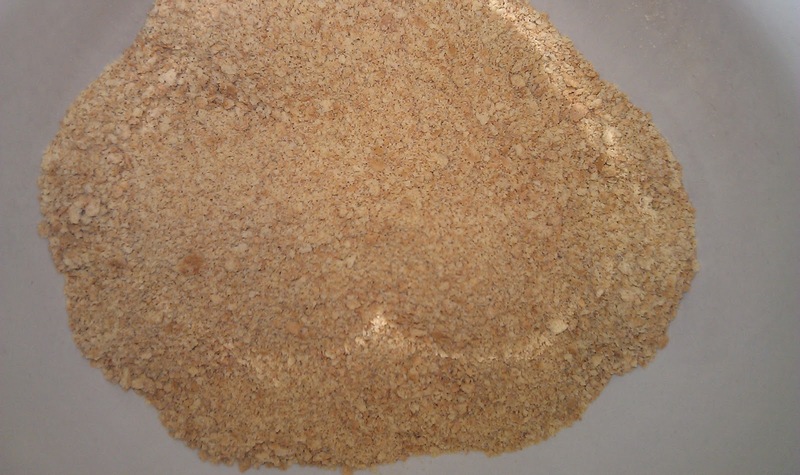 Place graham crackers in food processor - grind till they are crumbs. Set aside. (If you don’t have a food processor, put graham crackers in a large plastic zip bag & crush with rolling pin until you have crumbs. 3. 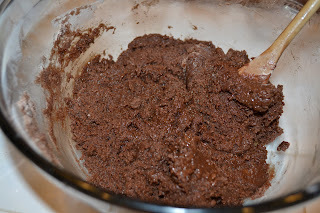 Melt butter, and both semisweet and bittersweet chocolates in a medium size saucepan over medium heat. 5. Add the crust mixture to the bottom of the baking dish. Press down till the bottom is completely covered. Set aside as you work on the filling. 6. For the filling: combine the evaporated milk, eggs, vanilla and sugar in a large bowl and beat with hand mixer until smooth. 8. Pour coconut filling over the chocolate crust. 10. Bake for 30 minutes until the top is golden and the filling is firm. 11. Cool for about 1 hour and then refrigerate for a few hours until the chocolate chips on top have hardened. Hooray for Father's Day!! Dads are definitely the unsung heroes of the family. 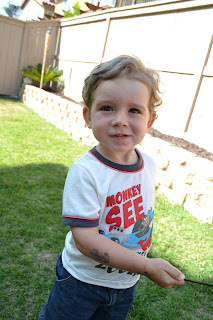 While Mom's are typically seen as the heart and soul of a family, Dad's are often the silent heroes in the background getting things done without getting a lot of credit. Thankfully we have a day devoted just to Dads, when they can spend the day doing whatever they want, however they want, even if it's absolutely nothing! However you spent your Father's Day we hope you showed some love and appreciation to the Dad, Step-Dad or Father-figure in your life. 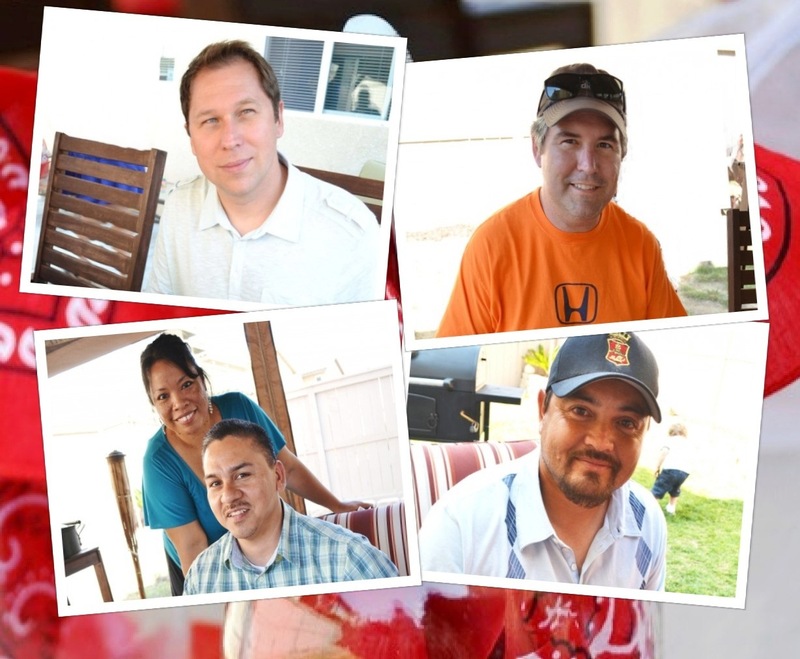 This weekend we were able to show some love, LiveBakeLove style, to a few of the Dads in our lives with a special Father's Day BBQ featuring an assortment of "manly" food for our every day super heroes. When we think of "manly" food, apparently our thoughts turn to The Pioneer Woman because Yvonne and I both made some of her most popular recipes (and we didn't even plan it that way!). Twice Baked Potatoes, Fresh Corn Casserole and Whiskey Peach BBQ Chicken. 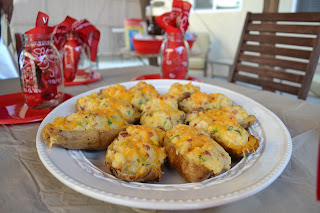 The Twice Baked Potatoes are to die for! What's not to love about bacon, cream, cheese and butter? The Fresh Corn Casserole was sweet, creamy and delicious. Making it with fresh corn is definitely the way to go. The Whiskey Peach BBQ Chicken is a great one-pot dish to make for a crowd. The whiskey evaporates and gives the sauce a slight tang while the peach preserves add the right amount of sweetness. 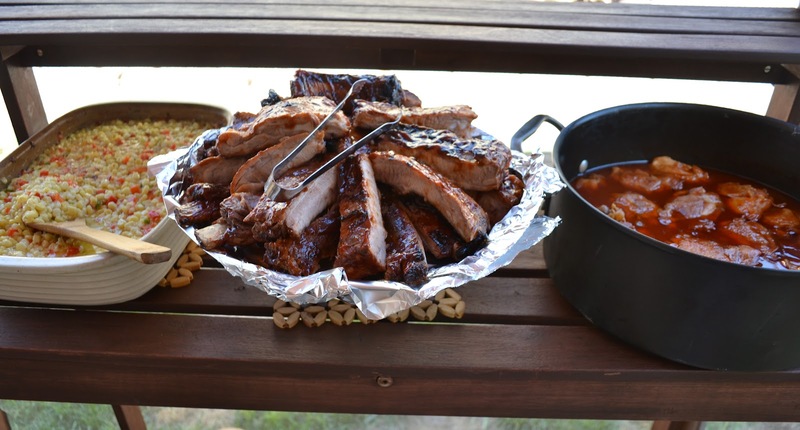 And what's a BBQ without ribs? I call these my "Rainy Day" Ribs (even though there wasn't a cloud in sight). They're slathered with a Sweet-Smoky Rub and allowed to marinade several hours or even overnight, then they're baked low and slow in the oven until they're fall-off-the-bone tender. This time I finished them off on the grill, just to give them that "charcoal-grilled" flavor....shhhh don't tell the guys. 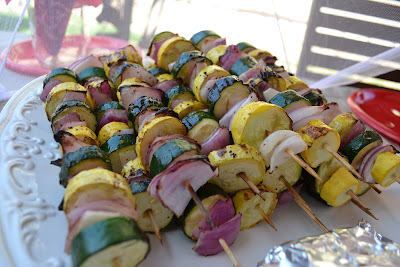 To accompany all that food, we made grilled Summer Squash Skewers and rustic homemade chili and cornbread baked in jars. Simple and cute! And can you believe we still had room for dessert? Teresa brought her famous Monkey Bread and a beautiful fresh fruit platter for a healthy and refreshing ending to a delicious meal. Today we're sharing the recipes for the "Rainy Day" Ribs and Chili & Cornbread Jars. We hope you'll try these delicious recipes as part of your next cook out! Combine all ingredients together. Store in an air-tight container for up to 1 month. Prepare your ribs - If using Spare Ribs, remove and trim the excess fat and flap. I also like to remove the membrane from the back of the ribs to allow the rub to penetrate. Sprinkle the dry rub generously over both sides and rub into the meat. Cover and refridgerate for several hours or preferable overnight. Before cooking, allow the meat to come to room temperature (about 30 minutes). 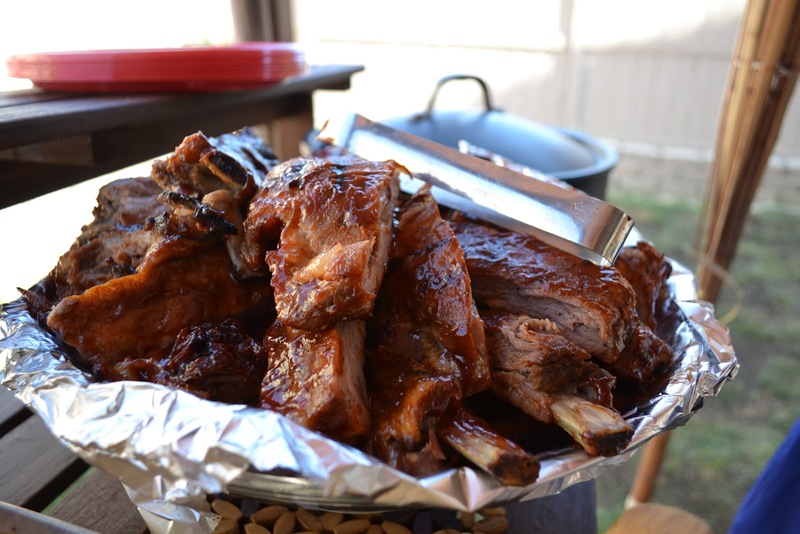 Create a foil packet and seal ribs inside the packet. Place on a baking rack on top of a baking sheet. Bake for 3-4 hours or until tender. Remove from foil. Place ribs back on the baking sheet bottom side facing up and turn oven to broil. Slather the bottom of the ribs with your favorite BBQ sauce. Place the ribs back in the oven and broil for a few minutes. Turn over, slather the top with sauce and broil for a few more minutes. Remove from oven and slice between the rib bones into serving size portions. Serve warm with additional sauce if desired. Note: If finishing the ribs on the grill (instead of the broiler), simply slather the bottom of the ribs with sauce, place them on the grill with the bottom facing down, grill for a few minutes, slather the top of the ribs with sauce, turn over and grill for a few more minutes. Remove from the grill, slice between the rib bones into serving size portions and serve warm. 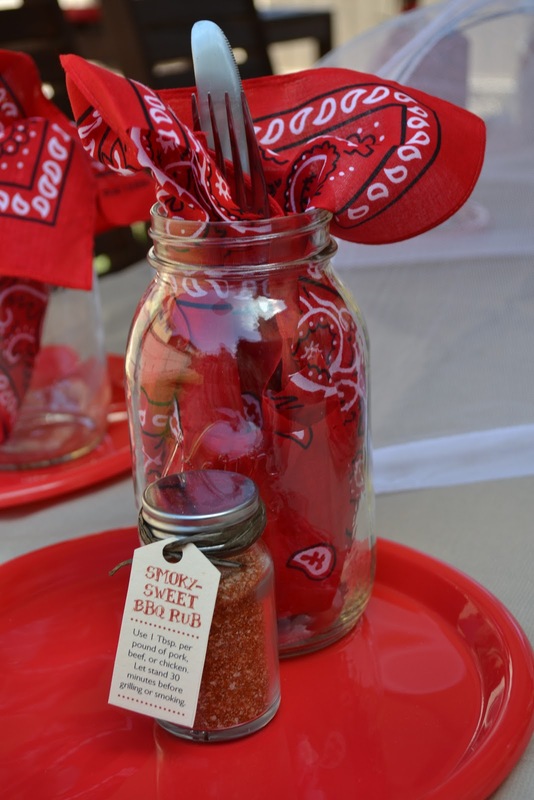 These jars are so cute and easy to make. Simply use your favorite Chili recipe. Using an appropriate size jar, fill almost full with chili. Top with cornbread batter and bake according to your cornbread recipe directions until the cornbread is done. 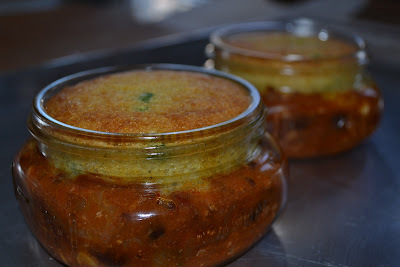 Here's the recipe for the Jalapeno Honey Cornbread I used. I usually make a Honey Butter to go along with my cornbread but this recipe has the honey baked right in. 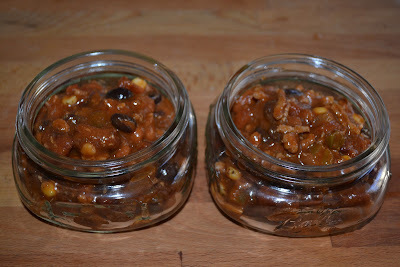 The combination of the sweetness of the honey and the slight heat of the jalapenos is delicious! Don't be afraid to use the whole jalapeno. I used a whole one and it was not spicy at all. Prepare your jars with chili (or grease an 8" square baking pan, or 10 of the cups of a muffin pan. In a small bowl, whisk together the flour, cornmeal, baking powder and salt. In a medium bowl, whisk together the honey, sugar, melted butter and egg. Add the dry ingredients and stir just until combined. Do not overmix. 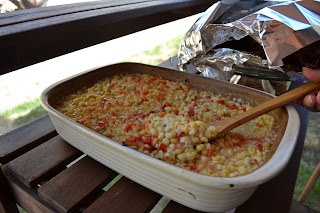 Fold in the diced jalapeno and corn kernels. 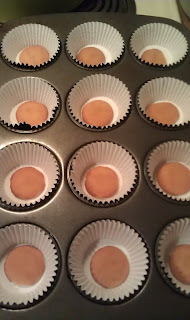 Scoop some of the batter into the jars (or scoop into the prepared muffin pan or 8" square pan). 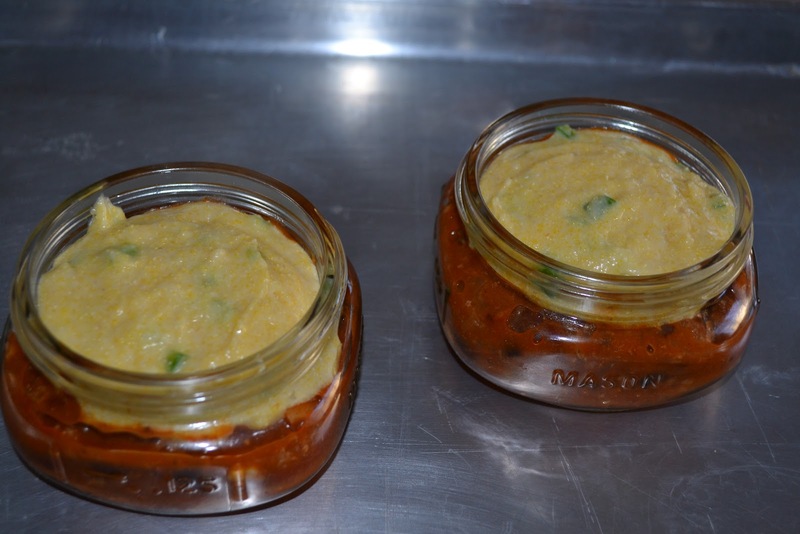 Place the jars on a baking sheet and bake until the cornbread is golden brown and a toothpick inserted into the center of the bread comes out clean. Mine took about 20 minutes and I had to tent the jars with foil towards the end of the baking time to prevent over-browning. Remove from oven and cool slightly. Serve warm.